Samuel Saunders (of Saunders Roe) bought the Gunville Brickworks in the early 1920’s and opened a pottery in 1926; renaming the business the 'Carisbrooke Brick, Tile and Pottery Works'. The pottery business was later expanded and renamed the Isle of Wight Handcraft Pottery. 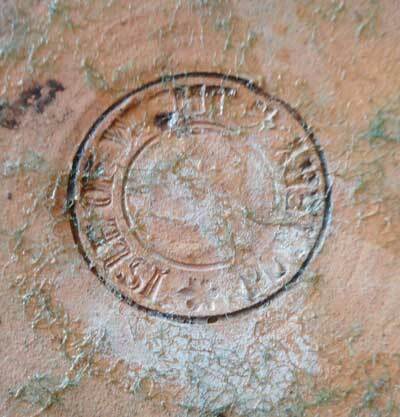 The products were usually marked on the base with a double 'S’ on their base, however, not all items were marked. The designs were always simple and usually abstract. Local clays, from both Afton and Gunville, were used and coloured leadless glazes were applied. 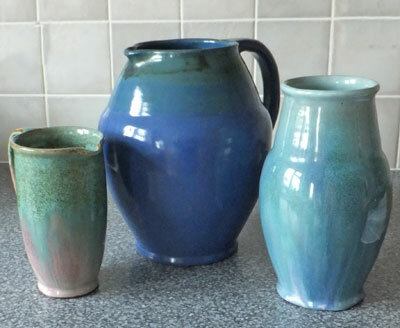 A coloured glaze at the rim that would run down the sides of the pots gave a wavy effect that was often used. Hulbert, Samuel's son, took over after his father's death in 1933, but in 1938 the factory was closed after the pottery manager was caught making and selling items on his own account. The products fall into 2 periods; Period 1 from 1926 to 1932 were usually terracotta with unglazed bases with an impressed mark and Period 2 from 1932 to 1938 with glazed bases and stamped marks. 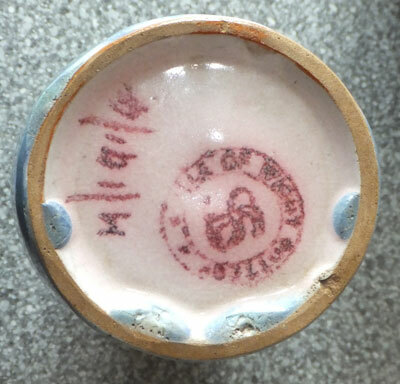 The letters/numbers on the base of the period 2 pottery record the shape, colour and glaze of the item.